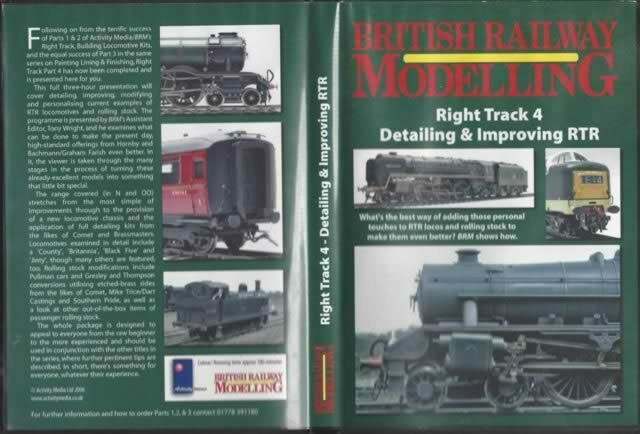 British Railway Modelling - Right Track Part 4. Detailing & Improving RTR. What's the best way of adding those personal touches to RTR locos and rolling stock to make them even better? BRM shows how. 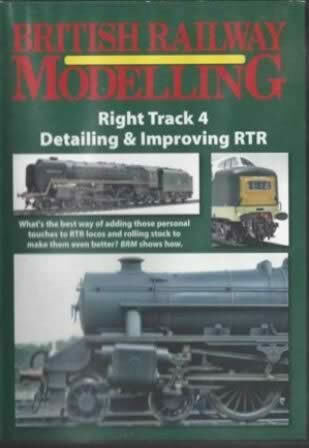 The fourth in the series shows Tony Wright, Assistant Editor of BRM, detailing and weathering a Graham Farish V2 and a Hornby Black Five. An image of the DVD is shown for your information, if you click on the image a scanned copy of the whole cover will be displayed.